Here, our residents are everything. From amenities to the apartments' design to maintenance and customer service, we focus on putting our residents and their needs first. Getting to know our residents is of utmost importance and is what fuels our passion for working here. We strive each day to help make The Conrad feel like a true community and not just another apartment complex. Here, you are our neighbor and friend, and it's our mission to make sure you love living here. From social events in the clubhouse to exploring our city together, we believe events can help our residents get to know each other better — and lead to lasting friendships. That's why we regularly plan get-togethers for our community. We also understand the need for peace and solitude — the ability to slip into your home after a long, hectic day. So we focus on making that the best for you, too. We believe wholeheartedly in this philosophy of putting our residents first, and it's one of the things our residents love best about our community. Their feedback online about their experience living here led to The Conrad being named a top apartment community in the nation by J Turner Research. 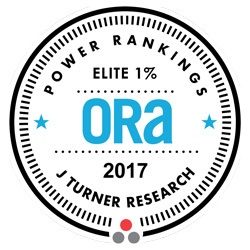 J Turner Research is an independent research company that assesses the online reviews and ratings of more than 71,000 apartment communities across the country. And, in 2017, The Conrad was named in the elite top 1% nationwide for positive online reviews and ratings. This is such a prestigious honor, and we are humbled by it. We are grateful for our residents and thankful they share their experiences here with others online. But more importantly, we are thankful they have chosen to live at The Conrad, and we will continue to focus on making this community a place they love to call home.